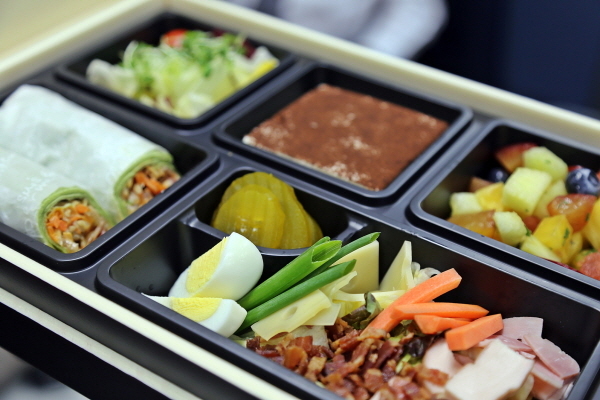 Cilantro Deli, the hotel’s delicatessen, offers premium lunch boxes with high-end ingredients. With free delivery within a 1 kilometer radius, these are an ideal way to get through a working lunch or when having a special day at the office. At KW150,000 for 10 persons, these lunch boxes are an affordable yet special way to treat your employees or impress your clients. Each lunch box is more than a complete meal consisting of a tasty sandwich, pasta dish, salad, pickles, fruit, and a dessert. Il Ponte, the hotel’s Italian restaurant, is offering a special birthday party package that can delivered for free within a 1 kilometer radius. Choose five pizzas from a selection of Il Ponte’s most popular pizza pies - sure to satisfy hungry celebrants. A large chocolate cake decorated with an edible photo of the birthday person will also be included for the celebration. This special package is priced at KW200,000 for five partygoers. ☞ Prices quoted above are already inclusive of tax and service charge. ☞ For enquiries, please call Cilantro Deli at (02) 317-3064, Il Ponte at (02)317-3270.